ADAPTING TO YOUR EVERY NEED. 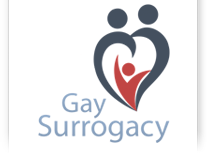 Unhindered by worldly setbacks and the negative portrayal of gay family building options, our GaySurrogacy network is here to help you — to pursue your passion of parenthood until you have succeeded. Gay men who are pursuing their dreams of parenthood should approach the egg donor process with a piercing degree of focus and determination. Egg donation refers to the use of eggs donated by another woman who acts as a “donor” to assist an individual our couple who are attempting to become parents. It is our goal to provide guidance and resources to connect gay men with an appropriate egg donor agency or fertility clinic that meets the highest degree of selectivity and standards. Th elite surrogacy agencies and fertility clinics inside our GaySurrogacy network offer the most prevalent and inclusive egg donor programs in the world; with each donor meticulously screened and committed to their roles and obligations as your egg donor. For gay male couples of the LGBT community and singles who are looking to build a family — egg donation helps you experience the joys of pregnancy. It is a heartfelt step that will include the mixed emotions of entering the egg donation process. It is important to give yourself some time to reflect on exactly what you and/or your partner are looking for. Once you are ready to move forward with egg donation, the next step is to comb through our extensive list of surrogacy agencies who provide egg donor programs. Choosing an egg donor program encompasses a complex set of considerations. Now that you have chosen an egg donor agency, the search for an egg donor begins. Choosing an egg donor is a challenging decision. It is important for you to understand the egg donor fees and costs and how each egg donor was selected into their respected programs. Below you will find what we consider to be the most important considerations on how to choose an egg donor. Once you have found a donor match, and the donor has accepted your request, a lawyer can start drafting the egg donation contract. Reproductive law varies from state to state, therefore it is advantageous to become familiar with the fertility laws in the states where you and your donor reside. Typically, your egg donor agency will recommend a qualified reproductive lawyer or provide one for you. You may also find a trusted reproductive lawyer in our premier network of surrogacy specialists. Egg donors that you know on a personal level are called known donors. This may be someone you know, such as a family member or friend. More commonly, gay male intended parents decide to use an anonymous egg donor. Anonymous egg donors are women who have applied to become an egg donor. After completing the application process, anonymous donors are entered into an agency’s egg donor database. Selecting an egg donor may encompass one of the toughest decisions you will face during your family building journey. With so many different factors to consider during the donor selection process, it is key for you to think about what qualities mean the most to you and your partner. Egg donors are healthy women, ideally between the ages of 21 to 32. All donors must complete a questionnaire about known family genetic diseases which will be traced, as extensively as possible.